You may not think to use ‘iconic’ and ‘cast iron pot’ in the same sentence, but that’s exactly what this design from Iittala demands. Created by legendary designer and artist Timo Sarpaneva in 1959, the Sarpaneva Cast Iron Pot quickly transformed into an international design icon. 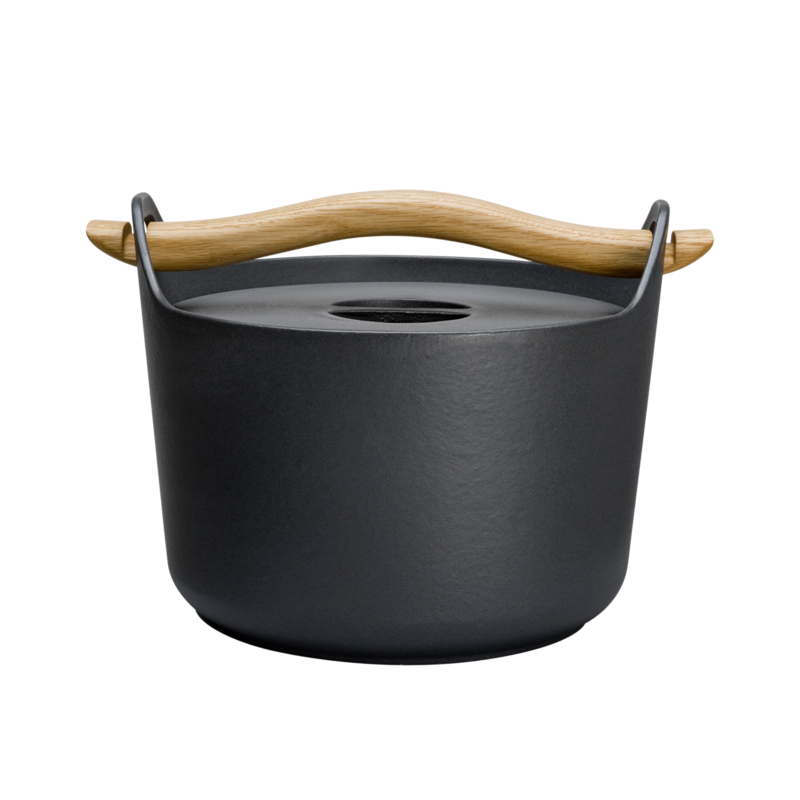 Minimalist and distinctive, the pot has a cast iron body and a wavy wooden handle that adds a decorative feel to the design. The handle detaches easily from the openings at the top. Inside, the cast iron pot has an enamel surface that won’t absorb the flavors from dishes. This product is oven-safe and can be used on a variety of heating sources, including induction, ceramic, gas, and iron hobs. Use this designer pot with wooden or plastic utensils that won’t scratch the surface of the enamel. Hand-wash only. Gessato is an authorized retailer of Iittala products. We purchase all of our Iittala products directly from the company in order to bring you genuine items that represent the best in contemporary design. Every Iittala product in the Gessato shop is authentic, comes with official brand packaging, manufacturer’s warranty (where applicable), and is sold with Iittala's authorization.